JLE Electronics has determined that some mobile networks such as AT&T have built some proxies or firewalls for mobile network traffic using TCP port 80. If the traffic does not comply the HTTP specification, the proxy or firewall will drop or cancel link to port 80. This kind of measure is design for better QoS or security. Shield DVR only implements the minimal set of HTTP protocol, and the link between DVR and mobile device will be dropped by AT&T’s firewall or proxy. Shield has implemented more complete HTTP protocol set and may not have problem on AT&T mobile network. To avoid the link drop problem on AT&T or similar network, please use a less common port. Please do not use port 8088. This port is also used for HTTP proxy. 8004, 8008, 8016, 8024, 8032 etc. Open port 554 and 8000 and forward them to dvr and install quicktime software in remote pc. 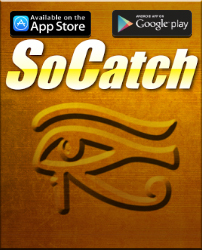 Download “SoCatch” from App Store. Can backup/record on single channel? Can use usb hdd for backup? Can cms backup hdd files? Can dvr send message to mobile device when motion/sensor detected? Does Shield dvr support oem ptz camera? Only if customer provides protocol and ptz for testing. Does Shield dvr supports RAID? Yes, but you will also have to configure antivirus software, firewall and router to allow connection through that port. Does Shield dvr supports windows 2000? Suggested bandwidth for remote connection? 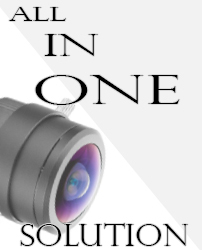 Verify whether is one to one or one to four, if one to one, the remote id should sets to “0”, if one to four, th remote id is “1”. Can remote fps go more than 60 fps? Does Shield supports MAC PC? How to configure e-mail ports? Upgrade to 87 firmware or above. Does mobile app support ptz control? Does DVR support RAID or Disk Array? We do support the RAID mode and Disk Array system for E-SATA interface; but please there could be compatibility issues. Do we support other browser such as FireFox? No, only Internet Explorer with Active X is fully supported. The DVR program is recommended instead of IE. The image transmission via 3G to cellphone or connection will not stable. It caused of the 3G signal strength not strong enough; when the signal strength is weak than the three bars of reception, it will become hard to connect. The auto-reboot function is useless. This function will start operating 8 hours after it is set up. Which 3G Modem will our DVR support? We only support HUAWEI USB Modem so far because only they share the driver on the market. 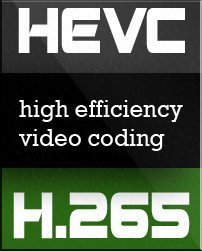 We have tested for E122, E153, E156G, E169U, E170, and E220, those models are working well with our DVR. Please connect the 3G USB Modem with DVR USB 1.1 port. In the 3G Internet Setting, the “Dial-up Number” and “APN” number has to ask for the ISP (Telecom) company, and the Pin number is the SIM card code. If users slot the 3G USB Modem before DVR start up, it will dial up automatically when DVR start up; if users slot the 3G USB Modem after DVR start up, it has to connect to internet manually, users could dial up after click “OK” button in Network Setting of Main Menu. 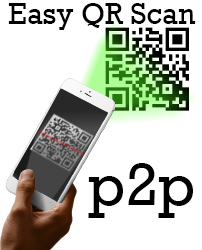 Our R&D will change the construction from RTSP to HTTP protocol for next version of GPhone application. Please upgrade the firmware to b91. Which version of MAC OS will be supported? Why does the USB HDD cannot be worked? We do not support the USB HDD because the extension HDD box has different control chipset, some of it is working well, but some of it is not; therefore, we do not announce that the USB HDD will be supported. For this reason, we do not suggest user to use External USB HDD in our DVR, and not only that the HDD has the compatible issue potential. Otherwise, some of External USB HDD speed is too slow to might make the backup video lost. Too many uncertainty issues cause we do not know that how to support it; in PC base, it will be easy to support; but in standalone, all the driver has to save in the memory before, so that is the reason we are really hard to do it so far. Do you have the DVD supporting list? And why the CD disk cannot be used? DVD support list would depend on the DVD-Writer installed on the unit. CD can not be used but is not recommended because of capacity limitations on CD-R media. The playback via remote access is slowly and cannot hear any audio. “1. When users use remote access to see the live view: images are loaded from cache memory in CIF format. Frame rate of the loaded file depends on the setting in “”HTTP Setup”” of local DVR and the requirement for network is around 1Mbps for DVR upload. 2. When users use remote access to see the recording video in playback: images are loaded from HDD of local DVR, so the transmission size depends on the recording resolution and frame rate. 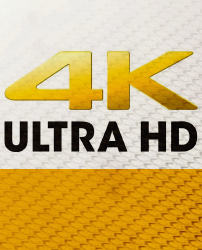 For example, if users set 720×480 with 30 FPS or 720×576 with 25 FPS to record, the result of recording size is huge and LAN is required to connect for playback. In general, the requirement for network is around 10 Mbps for DVR upload. When downloading files from remote access under unqualified Network Speed, a momentary loss of recorded audio signal may occur in order to maintain the images. Consequently, the downloaded files may contain without Audio signal. The Bitrate Table is not accurate. Please notice it the documentation is just for consultation only, the real recording size is still depending the locality condition. We cannot use 12888 to change the administrator’s password. The master password can only be used to change DVR settings locally. The DVR must be restored to factory settings to be able to change the administrator password from 123456 to a password or your choice. Cellphone can connect to DVR via WiFi, but 3G connection is failed. Your cellphone connection may be too slow for connection or your service provider may be blocking the http port. Try using a different port to solve the problem. What is the maximum number of network users that can be connected simultaneously to the DVR? It is not recommended for more than 10 users to connect simultaneously. Remote viewing performance will decrease as more users connect simultaneously and it is also dependent on other network devices and upload speed at the DVR’s location. The Android system download unsuccessful via DVR website. Please kindly download the application via Android Market. The mobile phone cannot connect with DVR successfully. Check that the password and http port match the settings on the DVR. Cannot hear audio sound via internet. Audio file might be dropped in order to keep video transmission when the network bandwidth is not sufficient. NVIDIA: Geforce 500 series, Geforce 600 series, etc. ©2010-2019 JLE Electronics, All rights Reserved.